Guys just wanted to say THANKS!!! Your product is amazing!!! 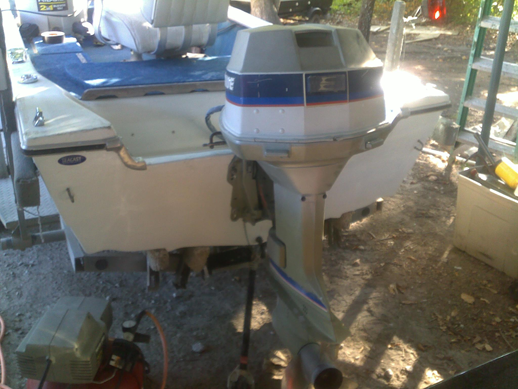 Used it on our 1974 17' Cajun bass boat and worked like an absolute charm!!! 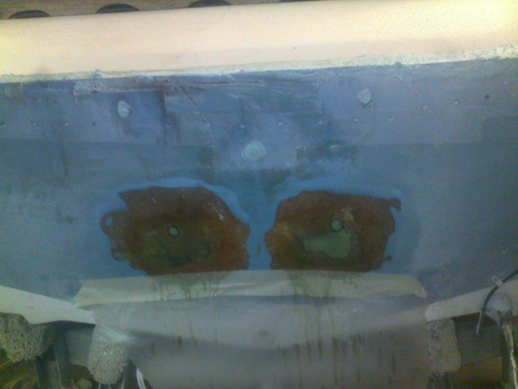 WHole transom was basically turned to wet saw dust but now stronger than ever!!! Easy to use and only took a weekend to get us up and back out on the water bass fishing again. My brother and I bought a 1974 Falcon fish and ski with a 115 horsepower Evinrude. We took the boat to the lake for the first time only to find out that the transom was completely rotten. The trip back home was a depressing one, thinking we had just bought a boat that was worthless. But after some research I found SEACAST and I am so thankful I did. 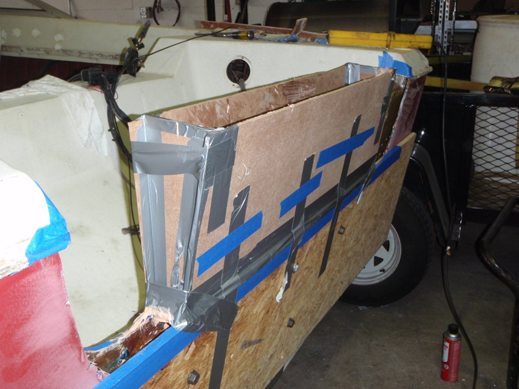 After fiber glassing a few holes in the transom we poured the SEACAST and let me say that neither of us had ever had any prior experiences with fiberglass, much less replacing a transom on a 37 year old boat. 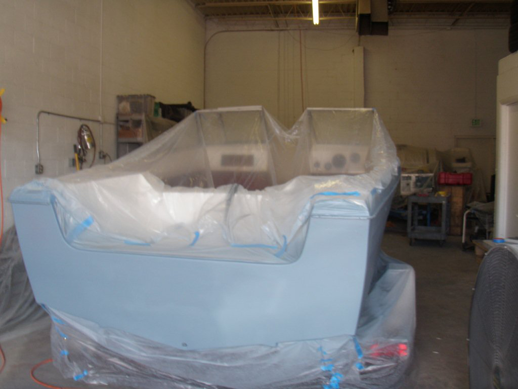 We poured the SEACAST exactly as the instuctions said (which were very detailed by the way) and the transom is now by far the strongest thing on the boat. The boat looks and handles great, and its wonderful not having to worry about wood ever rotting in the transom again. Thank you so much for this extraordinary product. It saved us SO MUCH MONEY from having to buy another boat to replace the Falcon. Knowing that this product is made in the U.S.A. makes it worth way more than it sells for. Thank you ECO-WOLF for saving my boat from ending up in a junk yard, she gets complements wherever we go! 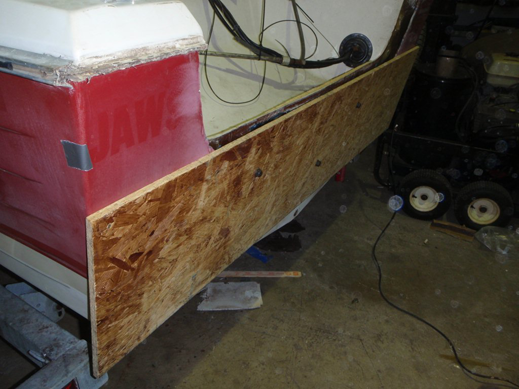 Completed the transom rebuild of a 35 year old Terry 460cm bass boat this past weekend. It was a very challenging and daunting task made so much simpler and ultimately successful with the SeaCast material. I am very grateful to have learned about your company and product... otherwise the motor on my boat would likely be on the bottom of the Tombigbee river. The difference in the boat's performance because of the repair was surprising. Everyone in your business was wonderfully responsive... from helping me with billing, through receipt of the product in an amazingly fast time. I hope I never have to rebuild a transom again... but if I do, my first action will be to place an order with you. Great product at a fair price, with exceptional personal service. I just finished filling my transom with seacast today. It was a pain. It took about a day longer then I expected. And I'm still having trouble getting the sticky off!...... BUT! This stuff is amazing. After getting all of the wood out, glassing in any cracks or weak spots. It was a piece of cake to pour in the seacast. Took all of a half hour to get it all in just the way the instructions say. I was still a little nervous about this stuff after I poured it. I ended up with half a bucket left. After a couple hours it was set up like a rock. I was able to get what was left out of the bucket. A buddy and I decided to give the seacast a test of out own. We grabbed a 22-caliber rifle and shot the chunk we had left 4 or 5 times and could not find where we hit it. We then decided to get a 45-caliber handgun, which only put what I would call a scratch on it. We went all out and fired a 12-gauge deer slug at it and it only chipped it slightly. A deer slug will penetrate an engine block! It's unbelievable. Any worry I had is gone! They should make bulletproof vests out of this stuff! I want to thank you for creating a product that has saved a Glastron Carlson model CVX 20 Sprint. I purchased this boat last year from North Carolina. 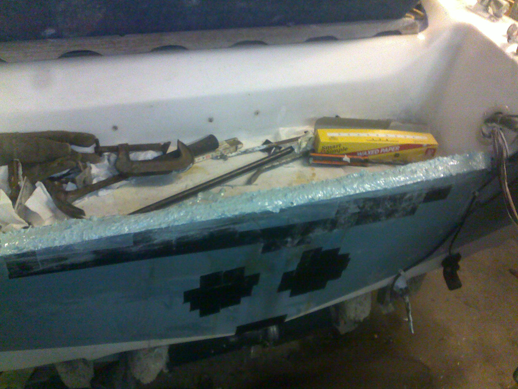 When I brought it home, I found that someone had tried to repair a majorly damaged transom with an aluminum plate. Underneath, I found that the transom wood was rotted out back to the stringer and floor. 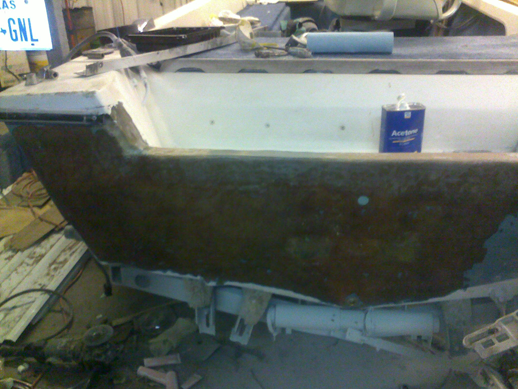 (See the photos of the condition of the interior wood) I went to 3 different fiberglass repairers who all told me to scrap the boat. I am glad I did not take their advice. I did locate a repairer that had a plan to shore up the transom with a steel plate again but after doing some research, he found your website and product. He just finished the job recently and we can't believe the result. It is AMAZING! 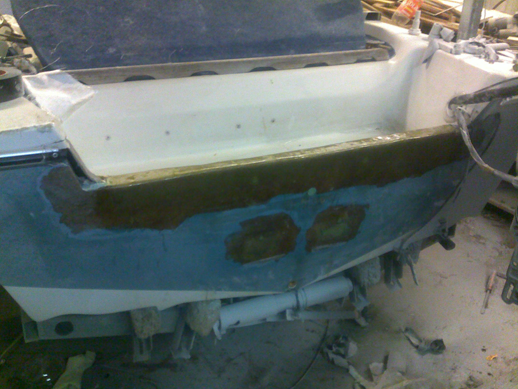 The transom does not need any more additional support, just the Seacast material. 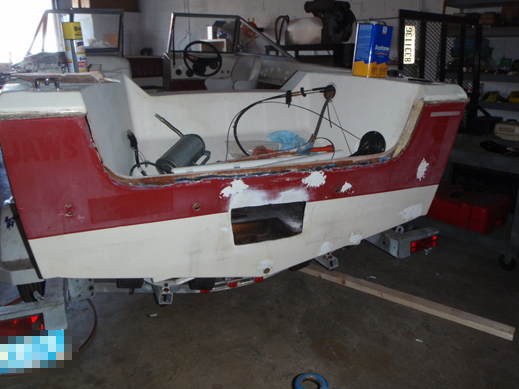 (See the repaired photos) I am excited about getting the boat on the water this weekend. We have no doubt that the transom is better than original with the use of your Seacast product. Thanks a million!! Yes you may use my photos for your website. Thank you the transom is stronger than the whole boat this is great stuff that will last a life time. 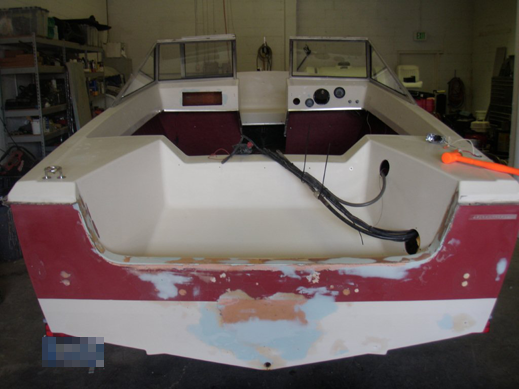 I used your product on the transom in my 1978 Mako 19'6". I was skeptical when I first poured it, but once it cured I was quite pleased with the strength of your product. Lately I have been taking boat offshore in 3'-4' swells and the transom has no give at all. So I must say thank you for your product. And I will recommend you to anyone I know who needs a transom replaced. I just thought I would let you know how my transom came out. It turned out wonderfully! Just as you said, removing the rotted wood would be the hardest part, and it definitely was the longest and most tiring part of the procedure. But, two weeks ago a friend and I poured the Seacast, mixed per your instructions, and it all went like clockwork. I tried it out 2 days later on a short fishing trip, then went on vacation to Broken Bow Lake in Oklahoma. We fished 3 days in terrible weather without a problem. Then as I was taking the boat out the last time, my tilt and trim went out. I had to trailer the boat home with only a makeshift transom saver. 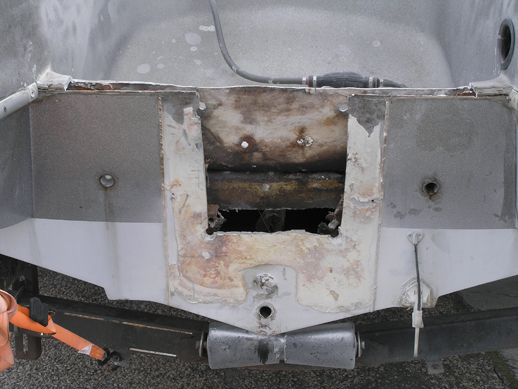 The transom suffered no damage after a 200 mile trip with little support other than the transom itself supporting the motor. Thanks so much for your great product and all the good phone advice. Everything you told me worked exactly as you said it would. Now I am telling everyone about Seacast! I would publicly like to thank Mr. WOLFGANG UNGER for his extreme customer service and his wonderful product, SEACAST. I have been around boats all my life from the Keys to St. Petersburg, FL. My family once owned and operated Hernando Beach Marina in Hernando County for 25 years and I have seen it all or at least I thought. Last week I decided to take my 1984 Stratos 370 v bass rig out for a ride after I had done extensive work to the engine, a highly modified Mercury 150 v-6.(approx. 250 HP). As usual the motor ran perfectly, and then we went back to the dock and picked up another passenger. Having just received this boat from a friend as a gift, I was a little leery of venturing far from shore (and yes, the transom did have a solid sound!) It was a good thing, as soon as I hammered it in the Hernando beach channel to run out, I heard a sickening LOUD pop. I knew in my gut what it was so I backed off and limped it onto a sand bar much to the dismay and curses of my unaware passengers, figuring if I sank, I would rather be in 6 inches of water than 8 feet in the channel. We made it in with a lighting fast run for the truck at the boat ramp with no time to spare (no atheists here!!) :) PHEW!! That was close!!! My five year old son was waiting for his turn at the dock and was very upset. I made up my mind I was going to fix it no matter what it took. I had the tools, all the wood and fiberglass but WHAT A PAIN IT IS!! I was searching the internet and found this product last Friday at noon. I called Seacast and got Mr. Unger at 3 pm. I said, "I live about 3 hours southwest of you, in a little town called Dade City". He said "no problem", he gave me his HOME PHONE number, directions, then his CELL PHONE number and said, "I'll meet you in three hours, call me if you get lost". I showed up about 7:30 pm FRIDAY NIGHT at the plant and he pulled in right after me. He took me inside the building, gave me a guided tour (A FLORIDA CRACKERS BOAT PARADISE!!) of everything, no hurry, treated me like family. Gave me the Seacast, wrote me a receipt, we talked for awhile, (you know when you are in the presence of true genius, you listen! ), taught me more tips and tricks in fifteen minutes about fiberglass composites than I ever knew existed and expressed his concern for our environment. THIS PRODUCT HELPS THE ENVIRONMENT! No wood, and it uses recycled fiberglass from old boats and discarded fiberglass that would otherwise pollute our environment. (He invented the process and the machine that separates the old glass for reuse). All I can say is that I was so impressed, I will probably be his best salesperson. ALL OF MY CUSTOMERS TRANSOMS WILL USE THIS PRODUCT. 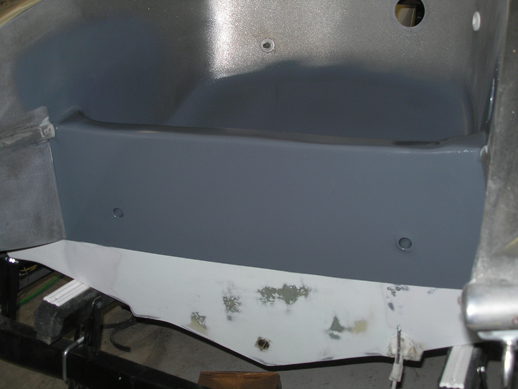 I poured mine on Saturday evening, got up Sunday and finished it off, bolted motor and jack plate back on, TOO EASY, (they make the best damn jack plate I've ever seen also YOU FLATS GUYS AND GALS TAKE NOTE) and just to see, I hit the transom with a METAL hammer. It went "SLAP". ROCK HARD WITH NO DAMAGE!!!! MY BUDDY WEIGHS 285 AND HE STOOD ON THE CAVITATION PLATE AND JUMPED UP AND DOWN ON IT IN UTTER DISBELIEF - he's a fiberglass picasso. NOW HE WANTS IT FOR HIS BOAT!!! PHEW, I'll be busy forever!! THANK YOU SEACAST AND THANK YOU, MR UNGER. Anyone who needs help can email me and I will help you with the Seacast installation. 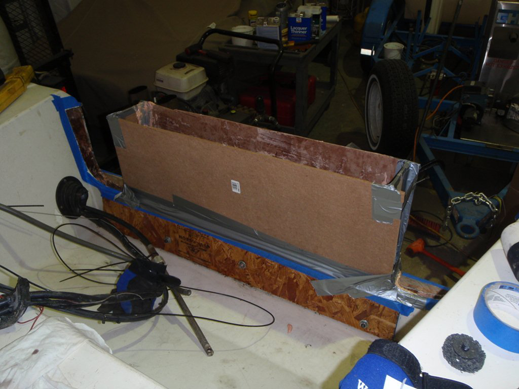 Yesterday was test day for my newly formed transom made from Seacast. 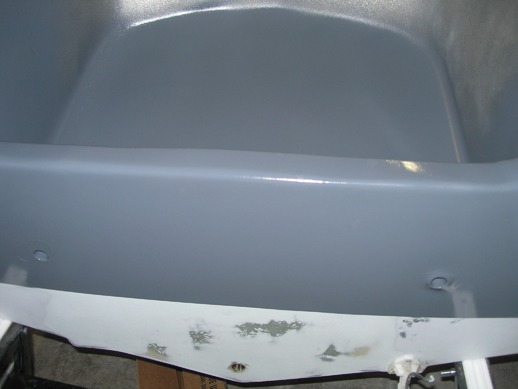 I must say that at first I was little skeptical about the product, but my boat was not worth spending $2000.00 to have someone replace my transom. I decided to try Seacast and I'm glad that I did. My transom is as strong if not stronger than when the boat was new 24 years ago. Seacast was easy to mix and poured just the way the directions said. The hardest part was getting the old wood out. While this was hard it was not impossible. A good drill, and a few paddle drill bits later and the wood was removed. I also made a heavy duty chisel with a 2" blade and 2' handle to scrape the remaining wood off after drilling and vacuuming the core wood out. I would recommend this product and this company to anyone. I called a few times with questions and the lady I talked with was very friendly and helpful.